3/28/12, a photo by Errant Ventures on Flickr. 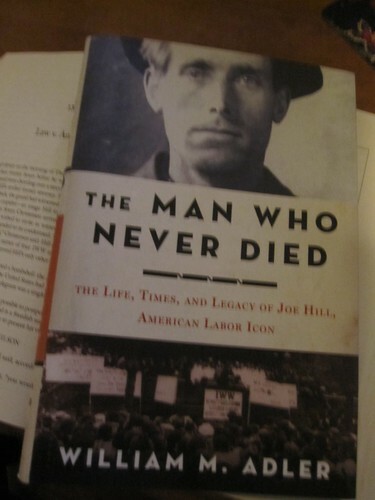 If you’re interested in progressive era labor history, Joe Hill, or the IWW, I highly recommend William Adler’s The Man Who Never Died. It’s easily the most comprehensive book on Hill since Gibbs Smith’s 1969 Joe Hill. Eventually I’ll find the time to do a proper book review.